We provide a franchise support system designed to support all of your business needs. Flip Flop Shops is committed to providing a superior level of service to our franchisees. Own Your Own Flip Flop Shops®! Here is your opportunity to become part of the flip flop lifestyle by owning your own Flip Flop Shops® franchise. With over 50 years of franchise experience building and growing some of the world's fastest growing franchise concepts, category leaders and some of America's most well-known brands we now welcome you to the next great idea! This is your opportunity to take part in one of the fastest growing and most exciting industries in the world. Flip flops and sandals are the oldest and at the same time best-selling footwear worldwide! 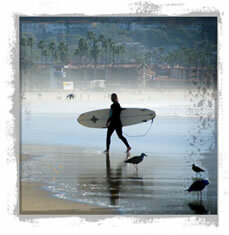 Usually seen only at beach resorts, flip flops and sandals "are a huge phenomenon. A few years ago you would wear them only to the beach or at the pool. Now you see them in the city, in the office, on the Red Carpet and at the Whitehouse. The simple, little flip flops with the humble origin are making their way to the season's hottest events and onto the feet of the most coveted celebrities and VIPs. We have created a concept where the unit economics, the industry, the trends and the lifestyle all just make sense! We invite the right franchisees to be part of the next big idea...and have fun doing it! 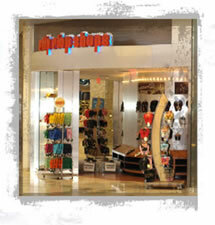 Flip Flop Shops® is the authentic retailer of the hottest brands and latest styles of flip flops and sandals. It's more than just a store...it's a lifestyle. We love the water and everything about it. Whether it's surfing at Rincon with friends, or standing at the water's edge in Tofino while the waves pull the sand out from under our feet and back to the sea...we love it. We ride powder in Canada, bike the backcountry of New Zealand and raft down the Colorado. We love adventure and traveling. We keep up on the latest fashion trends and make up our own. We sometimes go to bed with salty skin and the smell of the ocean after a day of surfing. We take care of our environment and help out our favorite charities. We love music and singing along with our favorite songs. Our flip flops are an extension of who we are and what we stand for. 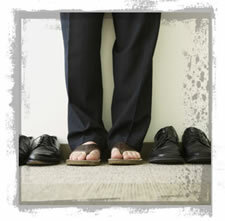 We live, work and play with our toes exposed while wearing the freedom of flip flops on our feet. Note: This franchise is not currently being offered to residents of the following states: CT, ND, RI, SD, or to individuals outside of the United States and Canada. Interested parties must have at least $50,000 in liquid capital. *This franchise is listed on the FRANCHISE REGISTRY and is eligible to offer expedited loan processing through the U.S. Small Business Administration (SBA). Franchise Gator does not guarantee the accuracy of this information or accept any other liability in connection with this information. Click on Request Information for FREE info on how to open a Flip Flop Shops franchise today! Please Note: This Flip Flop Shops franchise opportunity and other franchise business opportunities, businesses and franchises for sale on this web site are not to be considered as an "offering", "franchise offering", suggestion or recommendation by Franchise Leader™. This advertisement depends entirely on the truthfulness of the information provided by our advertisers which includes, but is not limited to, franchisers, franchise brokers, franchise consultants and business brokers. Franchise Leader™ recommends that you consult a lawyer, financial consultant, accountant or professional advisor before buying a franchise or business opportunity or any type of business. By using this form or any part of our website, you have agreed to all terms and conditions of Franchise Leader™. Please review our Terms & Conditions for more information.